James Cameron has revealed the new 'Terminator' movie has a working title of 'Terminator: Dark Fate'. The much-anticipated return of the money-spinning franchise is being directed by 'Deadpool' filmmaker Tim Miller, while Hollywood legend Cameron is involved with the franchise for the first time since 'Terminator 2: Judgment Day' in 1991. Revealing the name they have pencilled in, the 'Alita: Battle Angel' filmmaker told Yahoo! : "We're calling it 'Terminator: Dark Fate. That's our working title right now." On working with Miller, Cameron added: "Tim's a very wilful and opinionated director, and he's got his own ideas for the film. I'm kind of like the Pips -- he's Gladys." Diego Boneta is joined in the cast by Linda Hamilton (Sarah Connor) and Arnold Schwarzenegger, who are returning to the movie series, while 'Blade Runner 2049' actress Mackenzie Davis is set to play the role of Grace. Meanwhile, Schwarzenegger previously revealed that the new 'Terminator' movie is going to be a return to the storytelling of the 1984 original. 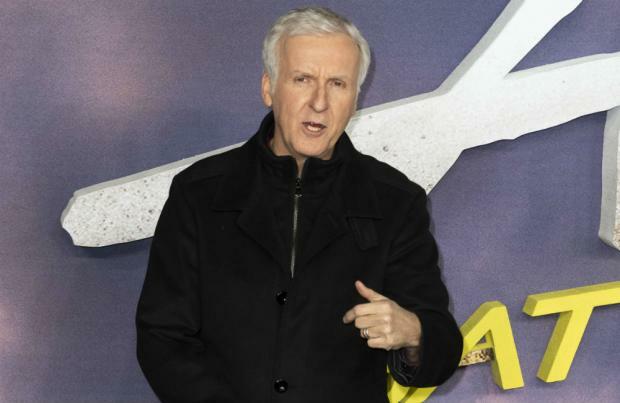 The 71-year-old actor starred in the original movie as the titular character – a T-800 killer cyborg – and said fans of the sci-fi franchise can expect a return to the stripped down story of the cult classic. He said: "I think James Cameron and Tim Miller came up with a concept where they can continue on with the T-800 but make a whole new movie. "What they are doing now with this one is basically to just take a few very basic characters, like Linda Hamilton's character and my character, and dismiss everything else. Just move away from all these rules of the timeline and other characters."